This Article aims to encourage Women locally / Abroad to take up the Appropriate education,empowerment of women. which will lead to a prosperous Nation Pakistan. Many women have contributed to Pakistan’s technology industry and have made a name for themselves,The concept of Women in Technology or towards Entrepreneurship in Pakistan is a new one. There are several examples of women leading the way in Technology and towards Entrepreneurship.This has lead to the growth of the economy from over last few years. The presence of these enthusiastic women have brought prosperity,welfare and as role models have encouraged numerous others to stand up and strive for stunning achievements. Here is the list of few Pakistani game changers and their stories. 1. Ms Jehan Ara is the mastermind behind PASHA (Pakistan Software Houses Associations).She is an entrepreneur,speaker,motivator,Human Rights activist and writer for various Industrial publications. A President of P@SHA Tech Incubator,The Nest I/O . 2. Ms Sara Haider is of Pakistani heritage,live’s in San Francisco,Is a Software Engineer at Periscope the new live broadcast /streaming app making head way. An Inspiration to women locally that engineering is not a dying field. 3.Ms Fiza Farhan is the Co-Founder and CEO of Buksh Foundation in addition she is also the Director of Buksh Energy Pvt Ltd runs .A micro finance institution that brings clean energy projects to poor and rural areas. She made it to Forbes’ international list of 30 Under 30 social entrepreneurs was also selected as a “Future Energy Leader” at the World Energy Council. 4.Ms Mona Mahtani from Hyderabad, Sindh has received International N-Peace Award from Judy Cheng-Hopkins, Special Adviser to the United Nations Secretary General Ban-Ki-Moon, N-peace Network is a multi-country network of peace advocates in Asia working on the advancement of women and peace issues .She is an advocate of Inter faith harmony and spends her time running a school and other similar projects advocating peace and educational the youth. 5. Ms Shiza Shahid is a young, female Pakistani educational advocate .A Stanford Grad and former McKinsey consultant; she became Ms Malala Yousafzai Chief Strategist and is the driving force behind The Malala Fund. And has even made it to Forbes. 6. Ms Kalsoom Lakhani is founder and CEO of Invest2Innovate (i2i) , LLC, a global social enterprise intermediary that matches investors with social entrepreneurs in emerging markets beginning in Pakistan and (soon) Bangladesh. By her venture she supports entrepreneurs, engaging mentors & investors, and partnering with local stakeholders, work to build a better enabling environment in Pakistan to encourage investment & entrepreneurship. 7. Ms Saba Gul did her Bachelors, Masters from MIT. She studied Computer Sciences and Economics. She is a successful entrepreneur that runs a nonprofit organization Popinjay, which helps girls, and their families of Pakistan, living below the poverty line to get education. 8. Ms Salma Jafri is who founded her own Content Marking Firm named as WordPL.net in 2008 and now she is working currently with Fortune 100 Companies as a Services Provider. Entrepreneurship is the need of the hour. A good number of jobs are created by small and medium enterprises. Entrepreneurial-minded people are the ones who drive the economy of the country. Entrepreneurship is a way of life. The people who are exposed to entrepreneurship frequently express that they have more potential to exercise creative freedom, higher self-esteem, and an overall greater sense of control over their own lives. This is one of the major reasons many veteran business people, public officials, economists, and academicians firmly believe that inculcating a dynamic entrepreneurial culture will not only maximize individual success rate but also collectively, economic and social success on a local, national, and global scale. Startup magazine had the honor of meeting the former governor of the State Bank of Pakistan, Dr. Ishrat Hussain. The celebrated banker and economist is currently the Dean and Director of the Institute of Business Administration, Karachi. The following words of wisdom will be a treat for all the aspiring entrepreneurs of the country. Startup: What does entrepreneurship mean to you, sir? Dr. Ishrat Hussain: There are some individuals who are prone to taking risks in their lives. They do not want to do a 9 to 5 job but they want to start their own business by recognizing some of the opportunities which exist in the market and which can be translated into a commercial proposition. That is what I think entrepreneurship is. Startup: What is the role of an entrepreneur in the economy and the society? Dr. Ishrat Hussain: You see, the entrepreneurs, they are successful, although the success ratio of entrepreneurship all over the world is very low. They create multiple jobs. They bring about innovations. They bring about new products, new processes, which do not exist. And this is how the economic transformation takes place: by bringing in new ideas and translating them into new products and processes. This is the role of entrepreneurship in the economy. Startup: What do you think should be the characteristics of an entrepreneur? Dr. Ishrat Hussain: The characteristics are variable. They are not fixed. There are some people who are not very good at creativity but there are others who are good at creativity but they do not have market sense. Although the entrepreneur may not be completely self-sufficient but if they work in a team, they can bring a change. Most of the startups have been successful where there is teamwork, where different skills are complementing each other. And that ensures the larger degree of success, as far as outcome is concerned. But no individual knows both the creative part as well as marketing and finance strategy. Therefore, you must have some teamwork in order to start the business. Startup: What are the sources of entrepreneurial ideas? Dr. Ishrat Hussain: Sources are people who are keeping their eyes and ears open and they find out that there are some rare opportunities, which are knocking on their doors. They will seize that opportunity and try to bring that into a culmination. However, if you are very much, which I call as “bound by tradition and conventions” and you are not looking around, then you will never be able to find those opportunities. Therefore, the mindset has to be very different as compared to those who are conformist. You have to be non-conformist. You have to challenge the conventional wisdom. All the scientific research, inventions and innovations have taken place when the existing theories had been challenged and new ideas had been replacing those old theories and practices. Startup: What sectors do you feel are the greatest source of entrepreneurial activities? Dr. Ishrat Hussain: All sectors! We have here people who are doing food. They are doing beverages. They are doing trade, agro-processing etc. There is no dearth of sectors. This is an economy which needs big boost, as far as, both economic growth and income distribution is concerned. If you go to the rural areas, you will find that the way they are distributing their inputs into agriculture is insufficient. So if you are an entrepreneur, you’ll look at this opportunity and say, “How can I do a better job as far as the distribution of these inputs are concerned?” Or, if I am a farming person, then I know that the water is being wasted in irrigation application. So if I can have some way of introducing, let’s suppose, sprinkler irrigation, whereby I can conserve and use the water more efficiently; my incomes will go up! These are the ways an entrepreneur can make some of the contributions in a struggling economy. Startup: What does wealth mean to you? Dr. Ishrat Hussain: Wealth is both intellectual wealth as well as the financial wealth. Most of the people concentrate on financial wealth, but they do not realize that intellectual wealth really creates the financial wealth. If you have very good ideas, you translate those ideas. I mean, look at the largest companies today in the world; it is Google. It is Facebook, yahoo, Apple, Microsoft etc. They are all been generated because of intellectual wealth and not because their parents, their ancestors were very rich people. They started from scratch. They were college dropouts! Some of them were very young, 17, 18 year olds. And today they have an empire which is larger than ExxonMobil, Chevron, BP (British Petroleum) which are using the natural resources, which is hydrocarbon. So you see what is the importance of intellectual wealth which is required for the future also. The bottom line is, it’s all about what is going in your mind and how that mental process creates something useful for the society. Startup: How can small and medium enterprises help alleviate poverty in our country? Dr. Ishrat Hussain: As an entrepreneur creating jobs, you are not just going for “one job for one person”, but one person is creating multiple jobs. Even if one person creates 10 jobs, you have a large impact on unemployment because unemployment is reduced to that extent. But if you work for a company, you are the only one who is employed. What about the others, who are not selected by the company? But if you are creating your own company, you may employ 10 people. And if there are a 100 companies, you have a multiplier effect! Therefore, poverty is reduced to that extent. Startup: How can entrepreneurship manifest in the early education? Dr. Ishrat Hussain: School level is very difficult because they have to be given the basic education. But at college level, you can have them exposed to the ideas which other people translated into action. That exposure itself will make them think. It is the thinking process, which is very important. It is not whether you are a scientist, an engineer, or whether you are a technologist, but it is what is going on in your thought process, which is very vital. Right from college days, you realize that I have to do something on my own, rather than go for an employment. You start thinking in a very different way. So it is the mindset, it is the attitude which is different among those who want to train themselves as entrepreneurs and those who want to train themselves for 9 to 5 jobs. Startup: So does it mean that an entrepreneurial education develops the entrepreneurial mindset? Dr. Ishrat Hussain: Yes it does. Not everybody gets it but 10 %, 15 % of the students, who are exposed to entrepreneurship training somehow or the other, do think differently. It’s a slow process, it doesn’t happen overnight. Startup: What is role of government and policy makers in entrepreneurship? 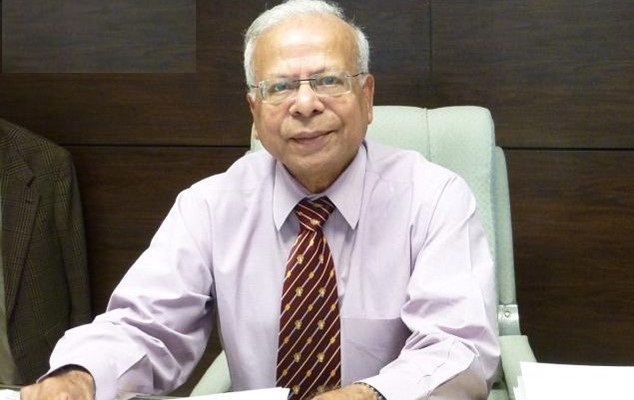 Dr. Ishrat Hussain: Nothing much, you just pay the level fee and you do not create any obstacles in the way. The Indian government did not know what the IT industry was doing and that is why that industry took off. If the IT industry was strangulated by government policies and regulations, India would not have done so well. The government should keep its hands off because creativity and innovation are to be given free hand. There is a lot of experimentation. There are a lot of failures. You learn from your mistakes and try again harder. So there is no room for government or government policy. The only thing I would like is that they should not create obstacles. They should have the enabling environment in which this innovation can nurture itself. Startup: What is the entrepreneurship ecosystem according to you? Dr. Ishrat Hussain: The ecosystem is that people are not given procurement orders on the basis of who-you-know but what the quality of the product is. You should not always say that anything which is produced by multi-national corporations is of superior quality and anything produced by a new entrepreneur is of low quality. You should give chance to everyone to compete. Competition really is the name of the game and you will realize that those who can succeed, then they will expand. Nevertheless, if you do not allow them to take part in the competition, then it is never going to happen! Startup: How do you feel entrepreneurship has changed over the years and what do you think the future holds? Dr. Ishrat Hussain: I don’t think it has changed in any way. There were entrepreneurs all over Pakistan for the last 67 years. There will be entrepreneurs in the future but the nature of risk taking will change. The people who are getting a lot of confidence for what they are doing, they will continue to experiment. They will continue to expend. However, those who are weak minded or very timid, if they fail, they will completely get out of this business. They will not try again. So it is perseverance, it is persistence, it is patience; these are the qualities which will help you whether you are in the 1960s or you are going to be in 2020s! There are no rules about it. Anything which is going to make a difference to the existing way of doing things or filling a vacuum or a gap which exists, then entrepreneurship will survive.